Fornicator, but orthodox: Pope Alexander VI. What would you think of a, say, Prime Minister who first indicates a draft of agreement is fine, and then eats his words and decides on second thought it is better to back pedal? What would you think of a Prime Minister who surrounds himself with people of such falseness as to – in case; this is the milder hypothesis for the Prime Minister – lie to negotiation counterparts concerning the PM’s agreement with the draft document? If the Prime Minister were surrounded by people without scruples, duplicitous and scheming, would you not consider the Prime Minister responsible for the people he selects to be near him? If the Prime Minister surrounds himself with people of evidently manipulative character – Alastair Campbell comes to mind – would you not think that said Mr Campbell is there because he is exactly the kind of person the Prime Minister wants in that position? When Blair decided to wage war in Iraq, how many of those critical with this decision blamed Gordon Brown for it? How many of those in favour praised the same Brown for it? When a man promises to a woman to marry her, and then eats his word because he didn’t like the reaction of some relatives of his – perhaps important, no doubt; but none of them the bridegroom – what do decent people think of such a man? Do they think that bad “wolves” made him change his mind? Or do they think that a man is only as good as his word, and a man who does not keep his word is not a decent man? b) The Holy Father surrounds himself – willingly, mind; and full knowing what he does – with people who do not hesitate to lie and to spend his own name and personal integrity to reach some objective of theirs: for example, in order to achieve a general mobilisation of the German clergy so as to scare the – in himself not truly difficult to scare – Pope. 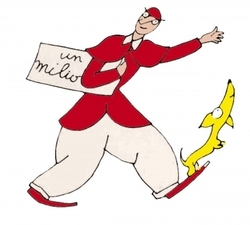 Unless of course you persuade me that Pope Benedict can work with the likes of Bertone, Levada & Co. for decades without knowing them, in which – absurd – case you are telling me that he should not have been made parish priest, let alone Pope. The falseness and duplicity of what has happened in the Vatican in the last weeks is beyond contempt, because here something much worse was done than simply saying “no” to the SSPX. In this case, the SSPX was simply used – either by the Holy Father, or by the likes of Gaenswein under the supervision and responsibility of the Holy Father – to proceed to the mobilisation of the V II crowd. The saddened words of Bishop Fellay about the SSPX being used like a ping-pong ball seem to me to clearly refer to this. Let me tell you this once again, because I get slightly nervous when I read that suddenly Cardinal Levada should be the culprit and the Pontiff, who obviously lives on Mars, should be whither than snow: Levada is not the Pope. Benedict XVI is the Pope. The Pope is in charge. He is answerable for what he does and for what his people do. If Gaenswein has lied, he is responsible for having Gaenswein in his role. If Levada was duplicitous, he is responsible for having Levada in his role. If “wolves” are roaming around, he is responsible for everyone of them, because they are there on his decision and under his responsibility. Make no mistake, this blunder is 100% Pope Benedict’s responsibility, and casts a huge shadow on his personal integrity in the worst of cases, and on his leadership and ability to work as a Pope in the best one. In case, then, you should think a Pope would, oh, never ever do such things, think again: the leak is still very fresh of how Pope Benedict authorised the scandalous neo-catechumenal liturgy and simply let Cardinal Burke in the dark. Just like that. This is not only poor leadership, this justifies doubts about one’s personal integrity, and it might be useful to open one’s eyes and see reality as it is instead of chasing imaginary “wolves” accurately selected by the Pontiff across several decades to do exactly…. the contrary of what he wants. Then the “Levada did it ” argument is preposterous, because by wanting to discharge him it simply indicts the Pontiff in the most brutal of ways. If you surround yourself with wolves all your life, can you say you are better than them? Did the Pontiff think these dogs would have no fleas? For an entire lifetime? Please. Once again: Cardinal Levada is not in charge. The Pope is. Levada can only propose, but he cannot decide. If the Pope has come to the point that his Cardinals do whatever they please without his having the force to react, he should resign at once for the good of the Church and of his own soul. But we all know that this is simply not the case; and that frail as he is, he is certainly not an old man in his dotage. The problem I see with the Pontiff is, very bluntly stated, one of lack of integrity. He lacks integrity if he lies (let’s hope not; but let us not be Pollyanna here); if not, he lacks integrity because he chooses collaborators who evidently lack integrity; and he certainly lacks integrity if he does not have the basic decency of sticking to his own word, as can be expected by every man who think his word has value. “Let your yea be yea and your nay, nay” seem words unheard of in nowadays’ Vatican, from the Pope down. Instead, playing with the SSPX in this shameful way – in order to divide them, or to provoke a reaction from the other side – seems to be perfectly legitimate. For shame. Then we are told the Pope is “saddened” that there are leaks, and plots, and subterranean schemes. Of course there are, if this is the mentality he promotes and selects! Of curse there are, if this is the forma mentis he wants in the people surrounding him! The Pontiff made this bed in its entirety, but now he is saddened he has to lie in it! This is about the same as Obama complaining his team is made of money-squandering, incompetent, atheist nincompoops; with the difference that Obama has far less liberty in choosing his people than the Pope. We all have seen in the past how the one or other Pope disgraced his Office and the Church. In recent times, Pope John Paul II – who managed to tamper with the Crusades, be scolded live by “rock stars” and “nuns”, and kiss the Koran – comes to mind; but the old Pope was, at least on some of these occasions, probably not really there with his head anymore, and one wonders to what extent he can be blamed. I don’t think the same can be said of the present Pontiff. Whatever has happened here, it has happened during many weeks of careful plotting. Whatever deception was staged here, it was made in cold blood and with utter disregard for the feelings of thousands of devoted Catholics, and with the arrogance of those who think to them everything is allowed. Let us pray for the Pope, recruiter of wolves; that he may see the error of his ways and make a better use of the time left to him. Posted on June 30, 2012, in Catholicism, FSSPX and tagged Vatican-SSPX talks. Bookmark the permalink. 4 Comments. The Pope chose them. True. Can we say ‘birds of a feather..’? We would not choose people we knew were heterodox or heretical, would we? As you say, how can he not know what these people are? Impossible. He knows very well, indeed, and still he appoints them. We may not judge the internal forum – we may only judge his acts. His acts are unbelievably shocking to us because we did not wish to believe it possible. Well, now we know we were wrong. His latest and most scandalous appointment implicitly spits in the face of the Mother of God, of St Joseph, of St Joachim and St Anne and makes me feel that he makes a mockery not only of the otherwise universally accepted doctrine of the Virgin Birth, the Immaculate Conception of the Blessed Virgin and of that of her Assumption. Attack one and you attack all three. Next in line will be that of the Hypostatic Union and then we are all flushed down the theological lavatory bowl. A Modernist heretic at the top of the CDF? Most likely, it is true. Read what he says and what he writes and he sounds like a Modernist, does he not. I venture the judgement from what he writes and says – his acts. His acts condemn him. The Pope appointed him, knowing him for what he is. We must assume he is of alike mind to Benedict. If so…what then of Benedict? Archbishop Lefebvre said Cardinal Ratzinger was “no longer Catholic”. What now? I want to hope that the appointment of Mueller is due to the – shameful – desire of the Pope to perpetuate Vatican II, not specifically to a wilful desire to offend the Blessed Virgin. And yet, the offence is there, and it is there because when a Pope starts not to care about the orthodoxy of his men, such things are sooner or later bound to happen. I wouldn’t want to be him if he dies unrepentant, for sure. Can’t imagine he would be the first Pope in Hell, or the last. He makes on me the impression that he is snatching hell from the jaws of purgatory, as the vanity of trying to save an alleged “good” V II (to which his entire career is linked) tempts him to make “bold” steps to achieve his aim. Very clearly, Satan is having a field day of it, and with Mueller and Roche landed a double whammy on sound Catholicism. Witness all of the false reports up to this point, not just from Bishops but from the various catholic media types who don’t want this to happen. Benedict is still trying to clean up the mess created by his predecessors and there are some deeply entrenched forces at work within the Vatican, still. Regardless of what you think of the Pope, this thing is still going to have to play out. Did Ronald Reagan have a choice as to who all of his collaborators were? 1. I can’t see how you can say that Benedict is still trying to clean up what his predecessors have done. He has been extremely active in promoting bad bishops, and has now appointed half of the Cardinals. Besides, he can appoint ALL of his collaborators, fire and hire them when he pleases, without any corercion. 2. The comparison with a president of the United States is very fitting, because not even a POTUS has so much power as a Pope. A President has a party to take care of, friends to whom he must give back favours, sponsors, pressure groups and, most of all, senators and members of Congress. A Pope has none of these constraints, does not run any risk of being impeached, or of losing his majority in the Congress, or of not being reelected. I could go on. If there is one person on this planet who has no excuses, none whatsoever, for the people he appoints, this is the Pope. And he has been in charge for more than seven years now, for crying out loud. This is a long time! 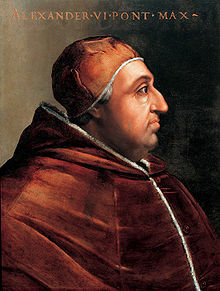 Pope Sixtus V was Pope only for five years, but he was a volcano, and the idea of picking such excuses like “give me some slack, I have been Pope only seven years and I could not appoint more than several hundred bishops, the half the cardinal and all my near collaborators” never entered his mind.